A rare aquatic discovery in a D.C. park is bringing needed attention — and hope — to the health status of the Districts' streams and the wildlife that calls them home. WASHINGTON — Eels were once a tasty meal for early Washingtonians and Native Americans who lived along the banks of the Potomac River. The American eel thrived in the rivers and streams of this area, but are now rare — victims of the urban landscape. Therefore, environmentalists were excited when they found a small American eel in one of the streams running through Rock Creek Park earlier this year. “I think that the most important thing is that there’s life in D.C. streams,” said Eliza Cava, director of conservation at the Chevy Chase-based Audubon Naturalist Society. Volunteers have been monitoring three streams in Rock Creek Park since the mid-1990s and have found just two of the eels in the past nine years; one was found this year. “One eel tells us that one eel made it. But where there’s one maybe there’s more behind it,” Cava said. 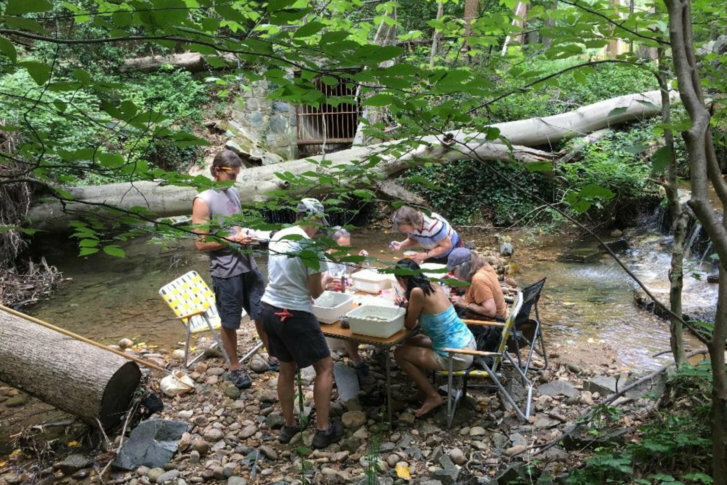 The environmental group released a report this month on the health status of streams in Rock Creek in Washington D.C. The group said its surveys have found plenty of aquatic life ranging from insects to amphibians and fish. Stormwater runoff carries road salt, pesticides and other pollutants into the streams. Early 20th century water projects placed sewer pipes beneath some streams and the older pipes can leak into the natural streams. Urban areas present their own difficulties for animal life. And “the most sensitive organisms — dependent on cool, clean water and undisturbed habitat — are less likely to be found in cities,” the report says. The ANS has issued a number of recommendations including more regular monitoring of water quality in the city’s streams and managing stream restoration projects that help prevent stormwater from reaching the streams. For volunteers who are interested in assisting, the ANS’ Creek Critters app is available on both the Apple App Store and Google Play.